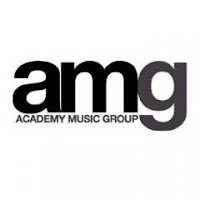 Academy Music Group (AMG) has achieved recognition for its commitment to making venues accessible for Deaf and disabled customers from charity Attitude is Everything (AIE). AMG, owners of 12 nationwide O2 Academy venues, signed up to Attitude is Everything’s Charter of Best Practice in 2006. The charter encourages venues and promoters to publicly show their commitment to improved access. O2 Academy venues in Brixton (London), Islington (London), Birmingham, Bournemouth, Leicester, Liverpool, O2 Shepherd’s Bush Empire, O2 ABC Glasgow have been awarded with the charter’s Silver status. While O2 Academy venues in Bristol, Glasgow, Leeds, Newcastle, Oxford and Sheffield are now on the Bronze Plus level of the charter. “Ticket sales for disabled patrons to our venues have increased significantly over the last two years” says Graham Walters, chief operating officer of AMG venues.